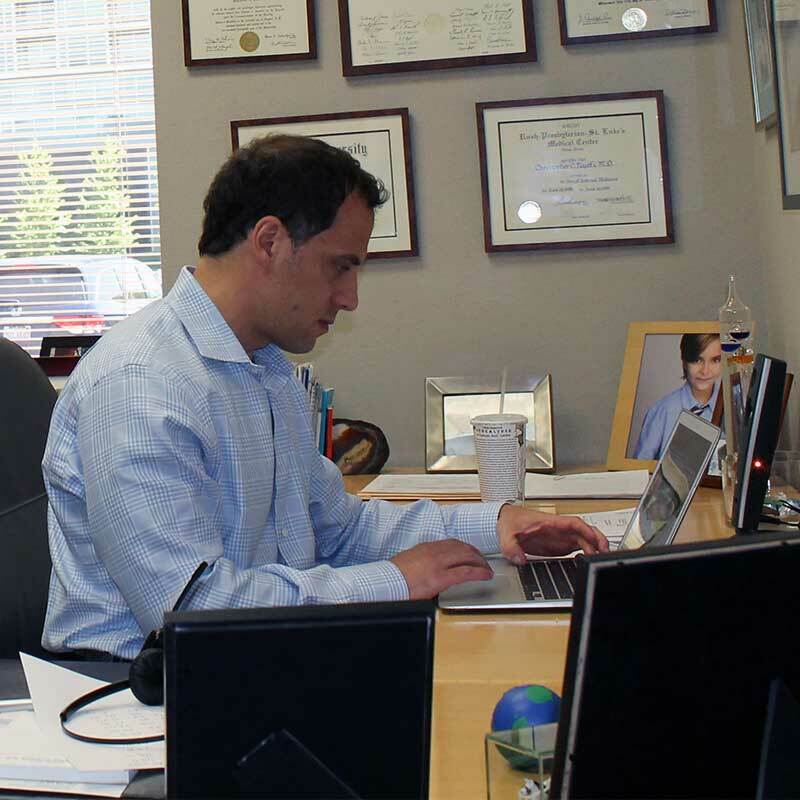 Dr. Najafi attended college at the University of Colorado, Boulder campus. He returned home and obtained his medical degree from Rush University in Chicago in 1995. He then completed his residency in Internal Medicine at Rush University where he was selected to be a Chief Medical Resident. He deferred, electing to enter his fellowship in the section of Nephrology at Rush University under the mentorship of Dr. Edmund J. Lewis. Following the completion of his education and clinical training, he remained in Chicago joining Lakeside Nephrology in 2000, where he is now a Partner. He is the Medical Director of the acute hemodialysis program in the section of Nephrology at North Shore University Health Systems Skokie Hospital. In addition, he is a consultant to the home dialysis program for Avanti Wellness and Rehab facility in Niles, Illinois. He has served as the Medical Director of Fresenius Medical Care Skokie Dialysis facility since 2001. There he oversees both a robust in-center dialysis program as well as a comprehensive Home Dialysis program. Dr. Najafi is a member of the American Society of Nephrology, the National Kidney Foundation and the Renal Physicians Association. Dr. Najafi is currently an Officer and Member at Large for the Northshore University Health System’s Medical Executive Committee. He is board certified in Internal Medicine and Nephrology and participates in the educational experience of residents and medical students. He has published clinical research in the area of Lupus Nephritis. Outside of work, Dr. Najafi has a love for the outdoors. He enjoys downhill skiing, hiking and fly fishing. He plays both tennis and ice hockey competitively.